Are you looking to diversify your portfolio by investing in some non-traditional companies? Or maybe you really love cannabis and are looking to position your investment in an industry you’re passionate about. With legalization in Canada on October 17, surprisingly some complexities still surround the cannabis industry (ie. 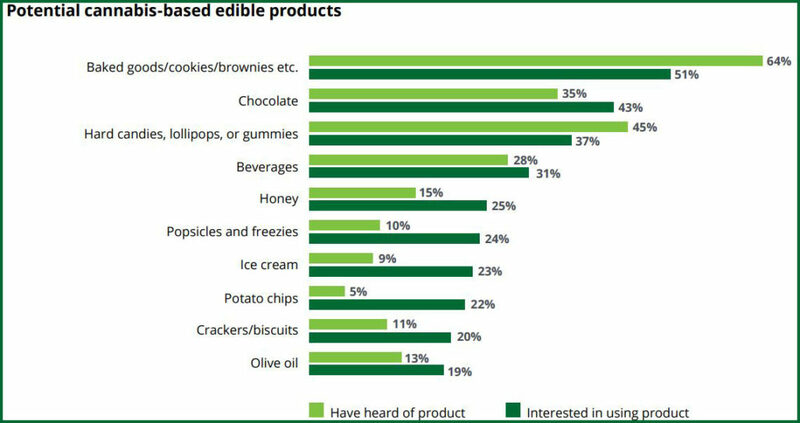 edibles, vaporizers, cannabis-infused beverages), investing in the space can seem somewhat tricky. We’ve simplified things by providing all the insights you’ll need to get started investing in an industry with a predicted growth of 34.6% from now to 2025. Why should you invest in the cannabis industry? If you’re drawn towards the cannabis industry because of personal use or belief in its medical properties, you’re not alone. Canadians spent 5.7 billion dollars on marijuana products in 2017 alone! Many people are investing their hard earned money in the cannabis industry. When the before mentioned areas of marijuana do achieve legalization in Canada and perhaps on a wider global scale, other industries will expand accordingly. For example, the market for accessories such as child-safe marijuana bottles and bags will grow amid safety concerns regarding edibles. These simple accessories are in fact pivotal to avoiding further cases of children being hospitalized after consuming edibles. The selling of legal marijuana edibles will be contingent on whether a product’s packaging has been deemed sufficiently childproof and has been approved by the government. Investing in manufacturers of these accessories and other offshoots of the marijuana industry is also a potentially rewarding strategy. If you have a particular sector in mind or even a particular company, make sure you do your research before you invest. There are many sites that may provide you with helpful information and insights on the marijuana industry that can help simplify your personal research. When researching individual companies, looking into their corporate values can be a helpful indicator of whether they’d be a good fit for your investment. Subscribing to content and news sources within the marijuana sector is a great way to stay informed about current trends and top performers in the space, which is vital in such a nascent industry that’s constantly changing. The average cannabis user spent about C$1,200 spent on the drug last year, mostly on non-medical marijuana, according to Reuters. Sometimes you need more than an article to help you figure things out, especially when it comes to a complex topic like investing. Ensure to contact your investment advisor or visit the Evolve website which provides investors with resources such as videos and infographics to help make the intricacies of the cannabis industry easier to understand.